The second leg of the Scenic West Athletic Conference found the Lady Eagles struggling as two road trips resulted in only one win. 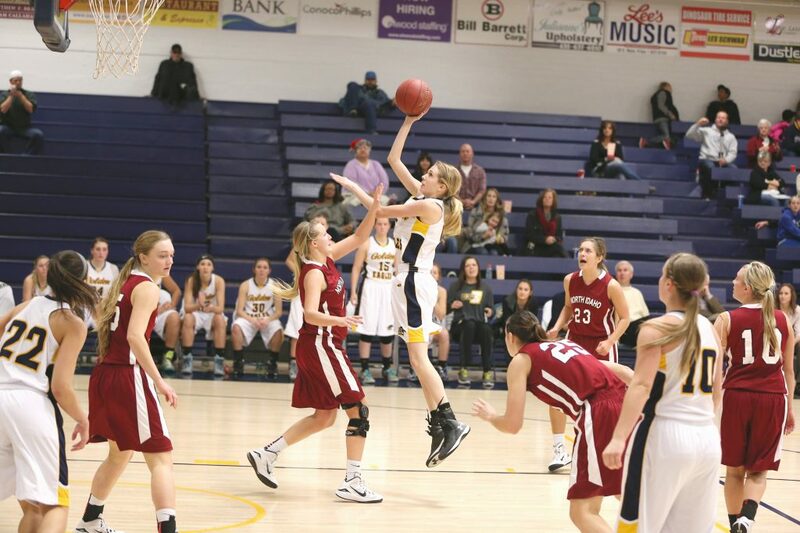 On Jan. 15, the women’s basketball team traveled to Ephraim to take on the Snow College Badgers. They suffered a loss of 78-61, but they were only down by four at half time. The team lost their composure coming in at half time, and was down by 19 points within the first five minutes. The real killer of the game was that Snow shot over 45 percent from the field, and the Eagles only shot 26 percent. Guard Bryanna Adams, led the team with 16 points and Jamie Smith chipped in with 13. Jan. 17 the Eagles went to Salt Lake Community College to challenge the Bruins, who currently are leading the SWAC with a record of 7-1 in conference play. They lost 82-62. Caroline Fischer led the team with 22 points, and Lejla Hadzialijagic pulled down seven rebounds. SLCC had four different players score in the double digits, which was a major contributor to their win. On Jan. 22, the team made their long journey to North Idaho College (NIC). They pulled out a 77-71 victory. USUE was down at half time and came back and out scored NIC by nine points. The Eagles had four players score in double digits; Adams with 20, Smith with 10, Barbara Cousino Contreras with 12 and Hadzialijagic had a double double with 12 points and 13 rebounds. Eastern shot just about 45 percent from the field goal range, and NIC shot only 35 percent. On Jan. 24, the Lady Eagles headed to the College of Southern Idaho. The Eagles suffered a loss of 82-66. Adams led in scoring with 23 points, and made four three-pointers. CSI had four players score in the double digits which were all about 10 points. CSI’s field goal percentage was 44 percent compared to Eastern’s 28 percent. USUE is currently in fourth place in the SWAC, and holds a record of 4-5 in conference play and an overall record of 15-7. The Lady Eagles will play Colorado Northwestern Community College on Saturday Jan. 31, in the BDAC. Their fan appreciation night will be held on Feb. 5 in the BDAC as they take on Snow College. They also will be playing SLCC that Saturday, Feb. 7.